Vitamin D3 Supplements: When Are They Necessary? Who Should Take Vitamin D Supplements, How Much and Why? Vitamin D supplements, particularly those providing the more bio-available form known as Vitamin D3 or cholecalciferol, can be of life-saving importance to a larger percentage of the population than most would probably assume. Of all the vitamin and mineral supplements out on the market, Vitamin D3 supplements may be the most under-consumed and most important among them. According to a number of recent studies, between 50-80% of the American population isn’t getting enough Vitamin D. This number is believed to be even higher among African Americans. Part of the problem is that a disturbingly high number of people either aren’t aware of the importance of healthy levels of the nutrient or make the mistake of assuming they get enough by way of diet and/or sunlight. 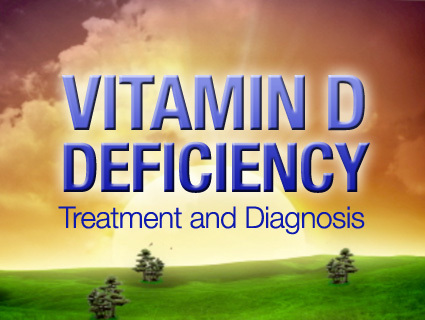 While most of us learned in school about the ever-important D vitamin is technically true (that Vitamin D is obtained via sunlight naturally), it is woefully incomplete information that has contributed to the crisis many health experts describe as a Vitamin D deficiency epidemic. We get Vitamin D from the sunshine. 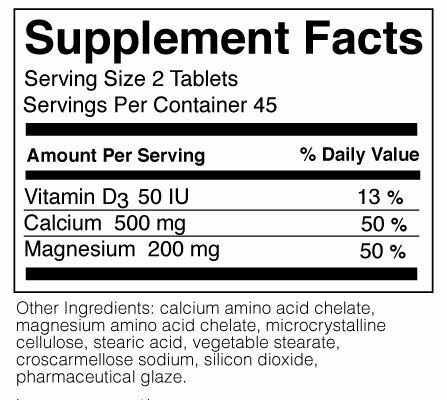 It is a “nonessential” vitamin (although that term is very misleading). What this effectively means is that our bodies can make it. Specifically, human skin manufactures it from sunshine, the liver breaks it down, and finally the kidney activates it into a form that is thousands of times more potent. This job provided by the kidney is lost very in the early stages of chronic kidney disease, and diminishes substantially often simply as a result of the aging process. What’s more, older people’s skin is not able to optimally manufacture the nutrient from sunlight. So what does this all mean to the average American who likely had never so much as considered whether or not he or she was obtaining sufficient amounts of the nutrient? Most of us also learned in school that inadequate Vitamin D levels can lead to rickets. But how many adults actually know someone with rickets? This is precisely the dilemma — rickets is not a disease people are used to seeing and thus, intricately familiar with. Far too many Americans are of the mistaken belief that they are getting enough sunshine, and what they’re not getting in terms of sun is compensated for by diet. This is a big mistake, at least if the studies indicating that more than half the American population is deficient are correct. Paying a (probably already overdue) visit to the doctor and having one’s Vitamin D levels checked takes very little time and is a relatively inexpensive test. This test is the only way to know for sure if one is low in the nutrient and thus susceptible to the assortment of health ailments and illnesses associated with the condition. Milk is fortified with Vitamin D, and many who are cognizant of the importance of the vitamin assume that drinking milk will help stave off deficiency. Technically this isn’t completely inaccurate. There’s just one problem with that line of thinking though: it would take approximately 16 glasses of milk a day to provide the necessary amount of Vitamin D needed to stave of deficiency and deficiency-related illness. What’s more, the Vitamin D found in milk breaks down when exposed to light? Most major grocery chains store milk under fluorescent lights 24-7 until it sells. Even if the milk is stored in such a way as to protect the nutrients inside it, sixteen glasses is a lot of milk — even if you like milk. Rickets we rarely encounter, sunshine we have aplenty, and we’ve survived this long without nutrient-rich milk, so what does it matter? The human body requires Vitamin D for many internal processes. It is a co-factor in myriad activities within the body. Most of us did not learn this in school as scientists only recently discovered just how critically important this nutrient is. What you don’t know, can hurt you. Without enough Vitamin D, not only are we vulnerable to rickets, but more importantly processes begin in which the body essentially turns itself into bone. Genes get *up-regulated(1) in the absence of needed levels of Vitamin D, which lead to the building of bone matrix in soft tissue. That tissue includes blood vessels, the heart, liver, pancreas, the list goes on. Upon that matrix, minerals like calcium are laid down and turn it into bone. This obviously is not good for one’s health. As a matter of fact, this directly correlates with mortality rates — especially via heart disease. The lower the Vitamin D levels, the higher the mortality rate! Vitamin D deficiency has now been linked to colon cancer, diabetes, hypertension, fibromyalgia, proximal muscle weakness, and many, many others. While the death certificate doesn’t typically list Vitamin D deficiency as the cause-of-death, an alarmingly high number of debilitating and potentially even fatal diseases and illnesses have been associated with deficiencies in Vitamin D levels. So which came first, the chicken or the egg? Vitamin D deficiency is indeed an epidemic. In numerous studies, 50-80% of the American populations studied are deficient in this Vitamin. These numbers are believed to be even higher among African Americans. While rickets is not regarded as a serious health concern, more and more people are diagnosed with heart disease, hypertension, and diabetes everyday in every family. Can anything help to prevent this? The sun has gotten a bad rap. We know it causes aging of our skin and skin cancer. This is true, and in the case of skin cancer potentially deadly, so getting more sunlight is not necessarily the answer. Worth noting is the fact that the darker one’s skin, the less Vitamin D that person is able to manufacture all other things being equal. This likely explains why African Americans are suffering and dying more than any other group from these very same diseases now linked with Vitamin D deficiency. When one spends considerable time in the sun, what happens? Assuming the person used sunblock, that person will become tan. The darker the skin the less Vitamin D one is able to manufacture, so more sun exposure is not the answer due to it’s catch-22 nature. This is especially true for African Americans and other people with dark skin. The recommended dosages for Vitamin D are 400 units a day if you are under 50 years old, 600 units a day for those 51-70, and 800 units a day for those over 71. When one is deficient, it is very difficult to replete levels with over the counter doses of Vitamin D. A prescription-strength dose is often required, and can be beneficial with a weekly dose. * 1. Up-Regulation – the process where postsynaptic receptors increase in number or become more sensitive when presynaptic neurons are not releasing enough neurotransmitter to carry the impulse (mcgraw-hill.com). * Alternate Definition of Up-Regulation – an increase in the number and density of a particular neuronal receptor, generally in response to an altered amount of neurotransmitters present in the surrounding environment (macalester.edu). Pamela Egan, FNP-C, CDE, is a board-certified Nurse Practitioner, certified diabetes educator, health columnist and anti-aging diplomat. She is an expert on vitamin d3 and illnesses associated with deficiencies of this vital nutrient. Her website is www.pamelaegan.com. Author AdminPosted on September 27, 2016 September 10, 2017 Categories Vitamin D3 ArticlesTags disease, sun, vitamin d3Leave a comment on Vitamin D3 Supplements: When Are They Necessary?